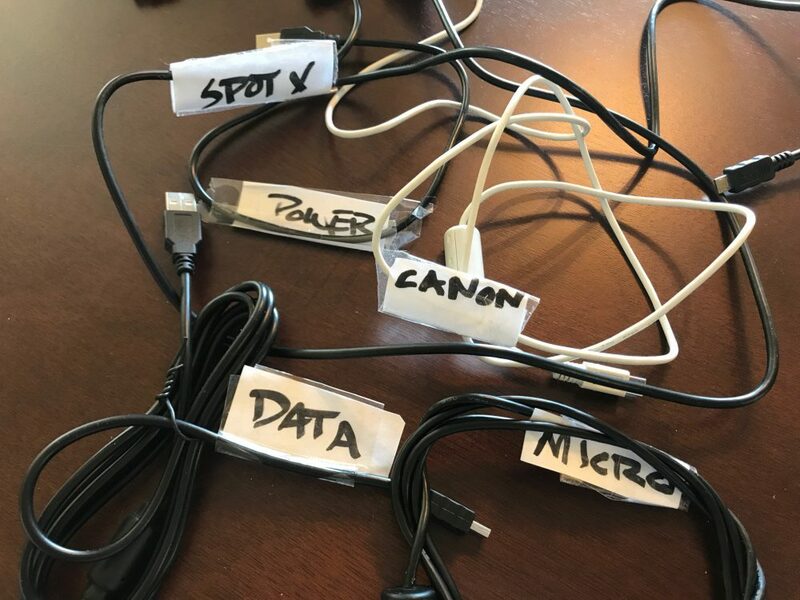 Sort out your spaghetti of charging and computer cables by labeling. These were done with some clear packaging tape, spare paper, and a Magic Marker. No matter what method you choose, you’ll save time and frustration if you label your cables. Previous PostPrevious Rockhound Alert! Comments to BLM Needed Now!